Of the main 3 floor joist types available, traditional solid timber, I-beams or metal web joists Trusstec believe metal web joists offer the most advantages to you the builder and have seen demand grow steadily over the years. 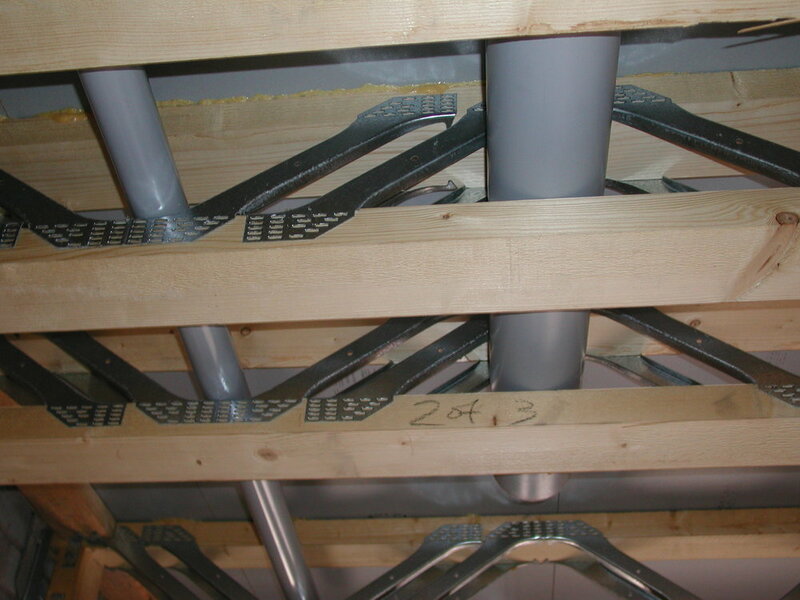 At Trusstec, we provide easi-joist® metal web floor joists engineered and manufactured to precise dimensions which can be installed quickly on site. The open web construction is ideal for accommodating services and makes for simpler installation of cabling, pipework, soil pipes and ductwork reducing labour costs. The combination of kiln dried timber and the metal web system greatly reduces overall shrinkage compared with solid timber or I-Joist resulting in reduced cracking and problems with dropped shower trays and finishes.